If you’re lucky enough to score a seat at this bar, don’t surrender it—it’s the perfect place to watch a game! Court&apos;N House is one of the most Wisconsin bars in the Chippewa Valley; the wait staff is super friendly, and even if you have to wait a little while for a table (because they are wildly popular), they’ll make sure you feel right at home and have a beer in hand within minutes of walking through the door. With that said, this spot is one of the best places to watch the big game. In addition to their juicy burgers, Court&apos;N House has some of the best bar food to choose from as well as an excellent drink selection (and let’s not forget about their Packer Backer sandwich, which is loaded with two brat patties, sauerkraut, and Swiss cheese). 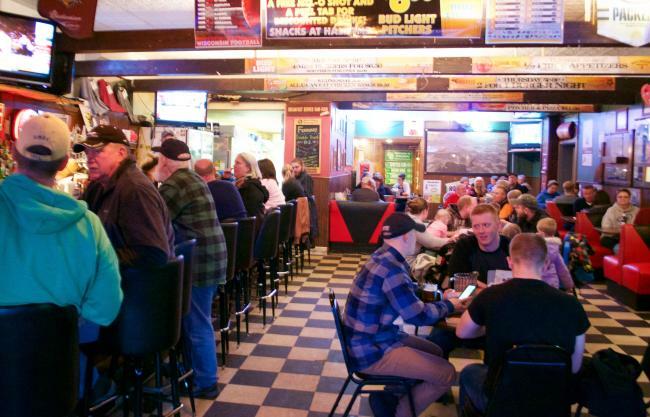 In addition, if you’re chewing your nails during halftime or you’re just along for the ride, Ray’s has all kinds of bar games to indulge in; shoot some pool with the guys and gals or challenge someone to a round of darts! Moreover, there’s plenty of seating and multiple TVs in the bar, so you don’t have to worry about missing anything on good ol’ ESPN. Snacks, games, and good company—what more could you ask for. Okay, so maybe The Pourhouse is located on the outskirts of the Chippewa Valley (Elk Mound, to be exact), but that doesn’t matter to the people of Eau Claire; what does matter is that they have the best Packer and Badger parties! From potlucks to shots and half-priced mixers at every touchdown, there’s no way you can’t enjoy watching the game at The Pourhouse. Most recently, this bar and grill had a Super Bowl Pot Luck Party and Loaded Bloody Mary event. If you missed it, though, no worries: you can get their Loaded Bloody Mary every Sunday for just $5.75 (or an unloaded Bloody for $3.75)! Along with these awesome deals, The Pourhouse is all about getting the community together to have some fun; they host a tippy cup tournament every St. Patty’s Day and have a Beanbag League starting up again shortly in the spring! Finally, it should come as no surprise that Wagner’s and The Complexx landed a spot on this list, as this is a super popular spot for both playing and watching sports! In addition to their amazing beers and appetizers (their cheese curds are bomb), Wagner’s offers all kinds of specials for football games including buckets of beer and wing deals! 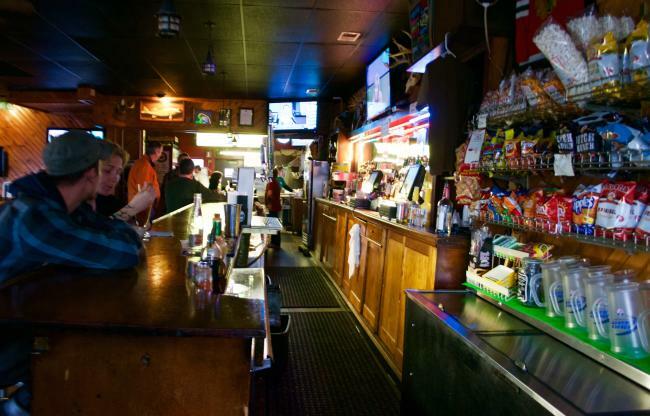 If you need a place to pregame during… well, the pregame… then your best bet is to grab a bucket of beer at Wagner’s. That’s not all, though: this sports-themed bar has HUGE TVs for you to watch the game on, plenty of comfortable seating, and raffles with all kinds of prizes. Moreover, The Complexx is well known as a spot to go bowling, throw some beanbags, and play sand volleyball and kubb! As such, the staff is super friendly and understands your love for sports—you can’t ask for anything better than that! 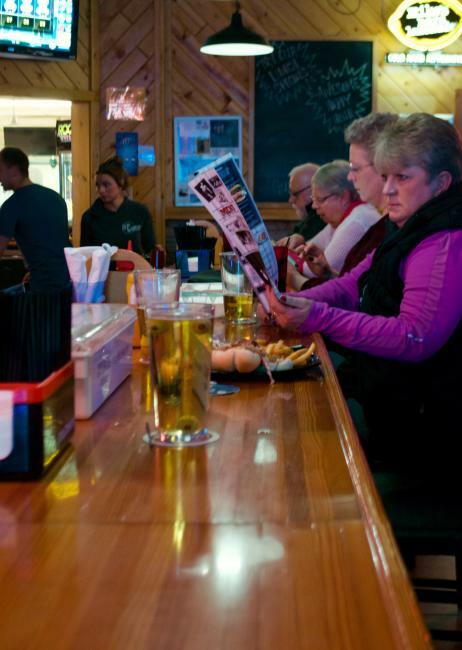 And there you have it: Eau Claire’s favorite places to watch the big game! If you’re planning on watching some basketball or hockey within the next couple of nights, give one of these spots a shot, take an Instagram photo, and share it with us by using #CaptureEC!